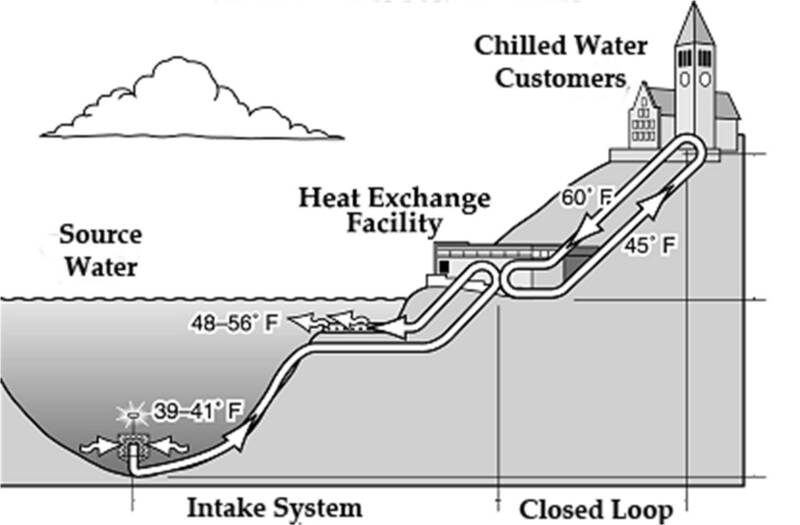 The City of Syracuse is considering a proposal to pipe cool lake water from Lake Ontario or a smaller Finger Lake, Skaneateles Lake, to Downtown Syracuse and the eds and meds district, University Hill, to provide summer cooling to the buildings there. Toronto, our impressive big city neighbor to the northwest, already has such a system in place. The dramatically lower costs of summer cooling would be attractive to businesses considering relocation and be great for the businesses already located in these areas. Dr. James Hassett, professor emeritus of SUNY-ESF, conducted the feasibility study. According to the Syracuse Post Standard, Syracuse would be the first city in the U.S. to stop using electricity to cool its downtown and major institutional buildings if the proposal is adopted.